Brainware HR Solutions Pvt. Ltd., works in alliance with expertise Clientele to staff their technical outsourcing requirements. Our expansion programs are well underway as we continue to pursue an aggressive growth.Brainware, a Chennai based professional services firm, provides reliable and productive software consultants on Time and Material model. Today we are steered by highly skilled and trained experts with relevant functional experience in handling large IT, ITES, NON-IT operations. Brainware leads its industry in both technical innovation and customer service. Its delivery methods are highly flexible and customizable giving clients more time to focus on their core activities. Brainware provides you with the edge in a highly competitive business arena. We offer a range of temporary services, permanent services and HR solutions to our clients. With our team determined to provide services spread across a wide ambit of industries and functions, we have become an efficient resource partner offering Staffing Services and solutions. We are incorporated to tap the vast market potential available in the country for recruitment services. 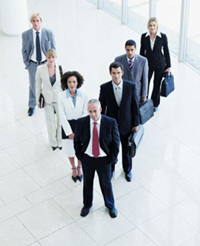 It offers a range of services designed, keeping in mind the unique requirements of the Indian corporate market.